Kingsclear First Nation hosted this year’s Games. 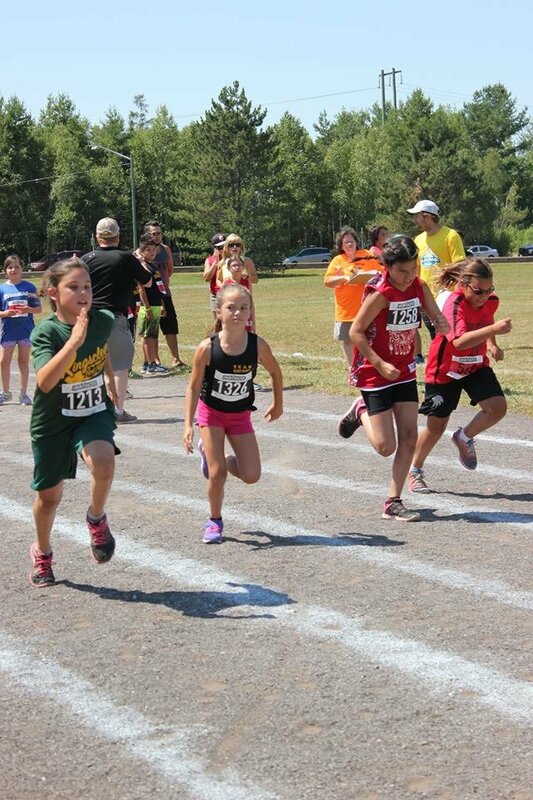 Another successful chapter of the New Brunswick Indian Summer Games is in the books. The Kingsclear First Nation, located about 20 kilometres west of the provincial capital of Fredericton, hosted this year’s Games. About 1,200 participants, which included athletes, coaches and support staff, took part in the multi-sport Games, which concluded this past Friday. The sports that athletes ages five to 19 competed in were archery, athletics, badminton, ball hockey, basketball, canoeing, golf, lacrosse, rugby, soccer, T-ball, softball, swimming and volleyball. The Games were first held in 1977 and continued until the mid-80s before they stopped being staged. Following a 24-year hiatus, the Games were revived in 2010 and have been held annually since. Jason Peters, the CEO of Aboriginal Sport and Recreation New Brunswick (ASRNB), said bringing back the Games was a priority for his organization. “It was one of the promises to our communities,” he said. Peters, who has been involved in some capacity with the ASRNB since 2000, said he wishes the Games had been resurrected even before they were. “It was one of those things we had to build our organization first,” he said. ASRNB officials annually send out a request for First Nations looking to host the Games. There are 15 First Nation communities in New Brunswick. Officials try to alternate the Games each year between a Maliseet and Mi’gmaq community. Brandy Polchies, this year’s Games’ co-ordinator, said hosting proved to be an even more challenging that she had anticipated. Polchies estimated at least 100 volunteers helped out at the Games. She said pinpointing an exact number is difficult because individuals, even from other First Nations, often approached her willing to lend a hand. “People would show up and say I have an hour or two and where do you need me and what can I do,” Polchies said. Though there is not much written information on its history, it is believed that the Kingsclear First Nation had also hosted the Games back in 1985. Besides entrants from New Brunswick, the Games have also traditionally included participants from Quebec’s Listuguj Mi’gmaq First Nation. “There’s some special reasoning behind that,” Peters said. Youth from that community are usually born in New Brunswick. They also go to school in New Brunswick and play their organized sports in the province as well. “We see them as one of our own,” Peters said. In previous Games, athletes from the Listuguj Mi’gmaq First Nation were simply added to the team of another First Nation. But this year, for the first time, they represented their own First Nation in the team standings. Besides trying to win medals, participants were also racking up points for their over-all team scores. Gold medallists were awarded four points towards their team standings. Silver medallists earned three points and those that captured bronze medals picked up two points. One participation point was also awarded for those that took part in an event. The final team standings were not released at the conclusion of the Games. On Tuesday Peters said she anticipated an announcement on the standings would be released very soon, and by this Friday at the latest. Besides bringing together people from First Nations from across the province, Peters said the Games also provide a chance to build partnerships with non-Indigenous groups. Kingsclear First Nation was only able to accommodate the archery, softball and T-ball competitions on its soil. Neighbouring communities, including Fredericton, hosted the other events. Though the province’s annual Summer Games for Indigenous athletes seems to be an event now that will be around for a long time, Peters said there are no plans to add Winter Games at any point in the near future. But Peters added there will be additional winter sporting opportunities for Indigenous athletes from New Brunswick starting next year. That’s because New Brunswick will be entering its own clubs in both the female and male divisions at the 2018 National Aboriginal Hockey Championships (NAHC). Nova Scotia’s Membertou First Nation will be hosting that tournament next May. In recent years New Brunswick players had been placed on Team Atlantic entries at the NAHC. New Brunswick last sent its own teams to the national tourney back in 2003.